The Ray Festa Memorial Scholarship is awarded in memory of Ray Festa to a senior at Montclair High School who emulates the spirit of participation, entrepreneurism and community service exemplified by Ray Festa, a 1957 graduate of MHS. Ray was an outstanding athlete and community leader throughout his short life of 53 years. Ray was a good "B" student (we're not looking for ONLY A students), student council officer, young entrepreneur and active in community service. 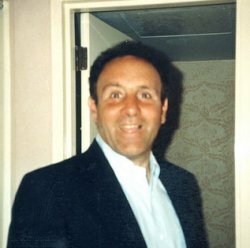 As an adult, Ray chose a career that kept him in Montclair - the town that he loved so dearly - everyday as the owner of Ray’s Luncheonette, a popular spot for many MHS students. To date, the Live SunSmart Foundation has awarded more than $150,000 in scholarship monies to deserving seniors at MHS. You can be next. We are asking all to apply. The Ray Festa Memorial Scholarship will be awarded to an MHS student who most closely embodies the spirit of Ray Festa, who demonstrated leadership skills, athleticism and a commitment to the betterment of Montclair and its high school. The scholarship will be paid directly to the receiving student’s college for fall semester. * Should students fail to be enrolled in the college listed on their scholarship application, the Foundation reserves the right to terminate his/her scholarship. ** Please note that it is imperative that any applicant perform his/her own due diligence to ensure that receipt of the Ray Festa Memorial Scholarship does not jeopardize his/her NCAA eligibility, ability to receive financial aid or ability to receive additional scholarships. By donating to the Live SunSmart Foundation, you are joining us in our mission to spread the word about the importance of skin cancer prevention and education. Early detection saves lives and your contribution goes a long way to help our cause. Please consider supporting Live SunSmart.